If I had to pick my favourite ingredient of 2018, it would be shio koji. This traditional Japanese paste — which is made from fuzzy, inoculated rice, salt, and water — adds savoury depth and miso-like umami to anything you smear it on, and an overnight hang in the stuff will do wonders for your (uncured) pork. “But Claire, didn’t you do this with pork chops, and find them to be just ok?” Yes, but that was my fault, not the shio koji’s. I hadn’t given the paste enough time do its funky work — four hours is not enough. When given a full 24 hours to tenderize, flavorize, and funkify, you get a piece of meat that is absolutely permeated with a salty and slightly sweet nuttiness from end to end. If you eat pork, this is something you should do. 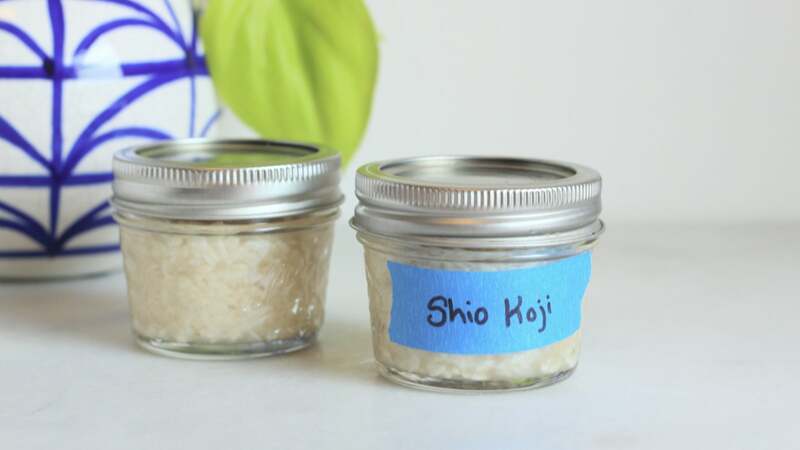 You can buy shio koji at most Asian grocery stores, or you make it yourself, though it does take a week or so, depending on how cold your kitchen is. 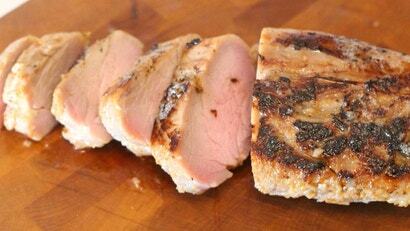 Once you have obtained the salty wonder paste, the only other thing you will need is a pork tenderloin (or any other form of uncured pork). For every two pounds of pork, take a cup of shio koji, and smear it all over the meat. Place the pork in a freezer bag, pop it in the fridge for 24 hours, and try to distract yourself with other fun activities while you wait for the inoculated rice to do its wonderful thing. Remove from the pan, pour the still hot butter on top, cover with foil, and let that beast rest for at least five minutes, ten if you can stand it.